Many times my customers write me after they have purchased program. 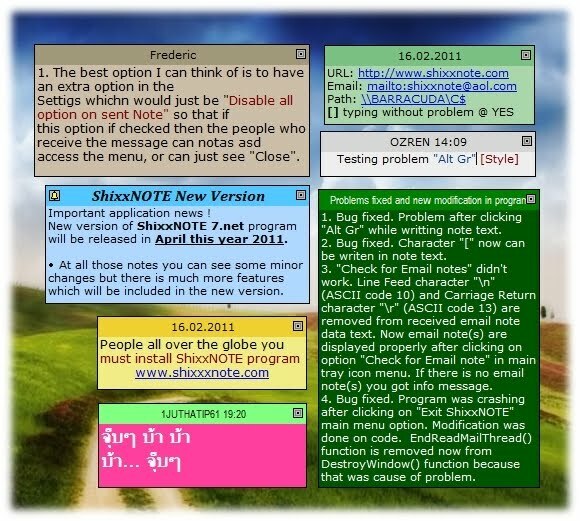 Common reason is that some computers can send and receive note and some computer(s) can only send or only receive note. I always reply to my customers and write them to make sure that Windows Firewall settings are correct, meaning that ShixxNOTE program have opened default port 2000 for communication. So you can open default port 2000 or gave permission to ShixxNOTE program in Windows Firewall settings. This is always happening because when customer install program on a computer and then start program for the first time, Windows Firewall dialog prompts and they doesn't know what to click on it. So now I will put Windows Firewall images and what customer or simple 30-days trial user must click when program is installed and started first time on the computer. 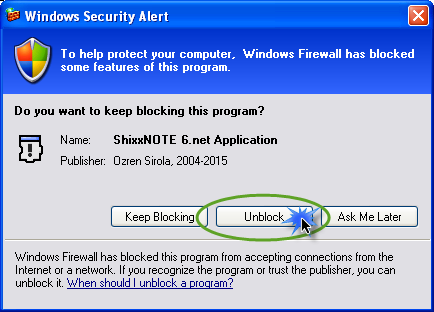 If you install program on Windows XP then you will get this dialog where you must click on the Unblock button like on an image below. 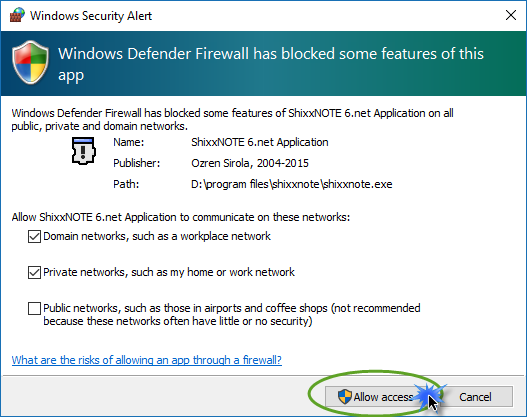 If you are installing ShixxNOTE on Windows 7 or Windows 10 you will get again Windows Firewall dialog where you must click on Allow Access button like on an image below. If you do this at the program first start up you will have no problems later with sending or receiving notes.